As a member of the Operations team, the Ad Ops Manager will be part of a regional team responsible for the set-up, optimization, performance & general stewardship of advertising campaigns. The Account Manager will support the Associate Director of Account Management, in their account cultivation & growth efforts, managing a portfolio of 20-30 strategic client initiatives both in a managed service & programmatic capacity. The Account Manager will also oversee the accurate tracking of data related to campaign delivery & will be responsible for timely & effective communication both to internal parties & to clients. Be lead point of contact for all client communication post-sale. Lead preparation for campaign activation through clear & concise communication efforts with client. Oversee post-sale process, including but not limited to: campaign set-up, pacing & delivery, incremental revenue generation & post campaign analysis. Analyze performance data to highlight key trends. Plan & execute multiple incremental revenue prospecting plans each quarter. Help internal staff development through consistent & thorough knowledge sharing exercises. A minimum of two years of relevant work experience at a digital media agency, publisher, SSP, DSP or AdTech company.Has a proven track record of exceptional time management effectively plans long-term & big picture projects, while maintaining day-to-day effectiveness. Continually promotes & achieves high standards of quality at work, applies attention to detail to execution & constantly looks for problems to solve & ways to improve. Has a track-record of meeting (or surpassing) ambitious goals in a fast-paced, competitive environment over a sustained period of time. Demonstrates comfort engaging with strategic clients, is an avid problem solver, proactive & a creative thinker. Possesses exceptional written & verbal communication skills. Takes a collaborative approach to their work; understands the limitations of their own perspective & works hard to understand the interests/perspectives of others. We have united & empowered the best publishers in the world & distribute ads to over 1.2Bn people every month within professionally-produced content. Our end-to-end platform delivers full-funnel, outcome-oriented advertising powered by cutting-edge creative technology (Teads Studio) & AI-driven optimization. Not content with outdated ad experiences in the market, we have reinvented digital ads & raised quality standards to delight users, publishers & advertisers. 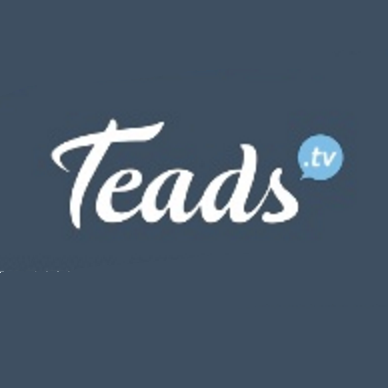 Teads partners with the leading marketers, agencies & publishers through its team of 700+ in 26 countries.